Chicago could become the first U.S. city outside of California to adopt a policy requiring it to purchase food from suppliers that meet a certain set of health, environmental and fair labor standards. On Tuesday, the Chicago City Council’s Health and Environmental Protection Committee is set to consider a proposal from Mayor Rahm Emanuel to implement “good food” purchasing standards designed to support small and mid-sized food sources that pay fair wages, provide humane care for animals and avoid the use of synthetic pesticides and fertilizers. If adopted, the Good Food Purchasing Program would require city departments and agencies to evaluate existing food and beverage contracts to determine whether they meet the new standards. New contracts would also need to meet the requirements. The city’s intent to adopt such a program was mentioned last year in the publication of Healthy Chicago 2.0, the city’s four-year plan with 200 strategies for improving public health, including increasing fruit and vegetable consumption and decreasing soda consumption among youth. In 2012, Oliva and FCWA, which advocates for improved wages and working conditions for food workers, helped Los Angeles become the first U.S. city to implement “good food” benchmarks. San Francisco and Oakland adopted similar policies in 2015. This summer, the Chicago Board of Education voted to update Chicago Public Schools’ Wellness Policy to incorporate “good food” purchasing standards, a move that will affect nearly $80 million in annual food purchases by the district. The Chicago Park District also piloted a “good food” purchasing program last summer that impacted more than $5 million in food purchases. Oliva said he did not know the value of food contracts that would be affected if the policy is approved for city departments and agencies, though he said it would be significantly less than with CPS, which serves nearly 27 million breakfasts and 43 million lunches to students per school year. Nationally, the Good Food Purchasing Campaign provides a metric-based framework for cities and other institutions looking to direct their buying power toward suppliers that fulfill five core values: local economies, environmental sustainability, valued workforce, animal welfare and nutrition. The program, run by the Center for Good Food Purchasing, has expanded from LA to more than 15 school districts, public hospitals and city agencies across the country. Similar programs are under consideration in Austin, Cincinnati, Denver, Madison, Minneapolis/St. Paul, New York and Washington, D.C., Oliva said. According to the Center for Good Food Purchasing, the LA program has redirected $12 million toward local produce suppliers, saved an eastimated 19.6 million gallons of water and created 150 food processing, manufacturing and distrubution jobs. The program has also been well received by students in LA, Oliva said. “The reaction they’ve had is that the food is a lot better,” he said. In Chicago, the resolution under consideration by City Council would give the city one year to collect data from existing food vendors and evaluate food procurement practices. The city would then have six months to incorporate the standards into procurement requests and contracts. 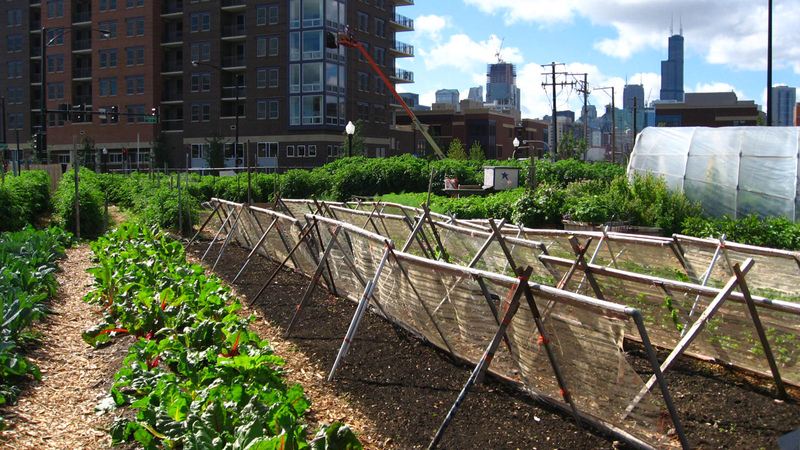 Sept. 18: Research shows that hundreds of thousands of Chicagoans live in food deserts. According to a 2006 report, most of those in Chicago were made up entirely of African-American residents. June 26: Students ages 18 and under can pick up a free lunch on weekdays at school sites across the city, through Aug. 25. Find a location near you. March 27: “The whole idea is to use our vacant land as a way to adjust the issue of food access by encouraging urban farms and community gardens in certain areas,” said state Rep. Sonya Harper.